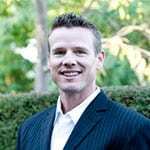 As a graduate of UCLA, Jon Henirichs has been in Real Estate for the last 10 years. His desire and commitment to serve his clients has allowed him to quickly gain their trust and loyalty. His concern is the long term well being of the client and as a result has built long lasting relationships with those he works with. Jon has a wealth of knowledge in multiple product types including Residential, Retail Shopping Centers, Apartment Buildings and Mobile Home Parks.